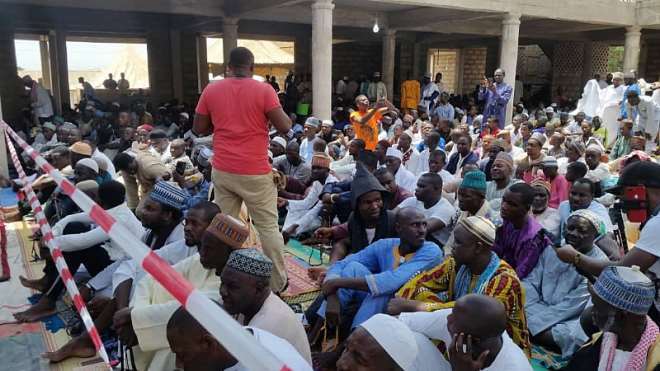 The 56th annual Quran Recitation For Peace in Ghana and the world which started on Wednesday 6th of March 2019 was climaxed last week in Prang, Bono East Region. 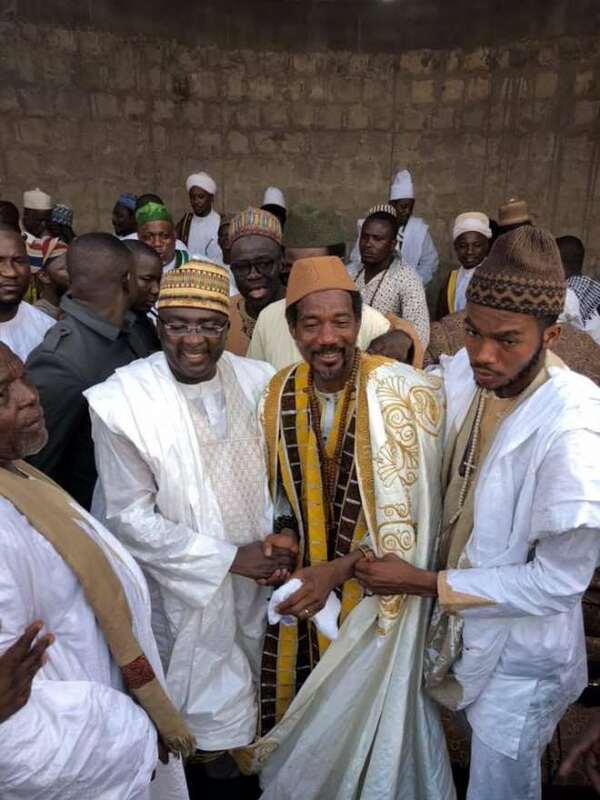 The President and Supreme Leader of the Tijaniyya Muslim Council of Ghana, His Eminence Sheikh Khalifa Ahmad Abul Faidi Abdulai Maikano Jallo rta who was named this year in Aina Mahdi, Algeria, as the Supreme Leader of Tijaniyya in Ghana by Sidi Ali Bin Al Arabi Altijani, the 12th successor of the leader and founder of Tijaniyya Sheikh Ahmad Tijani, led the opening ceremony which was graced by His Excellency the Vice President Dr Mahmoud Bawumia Minister of State Office of the Vice President Honorable Abubakar Siddiq Boniface, the MP for Pru West Mohammed Masoud and other dignitaries. This year's event coincided with the celebrate in of Ghana's 62nd independence anniversary. Participants from across the country and the world were in attendance. 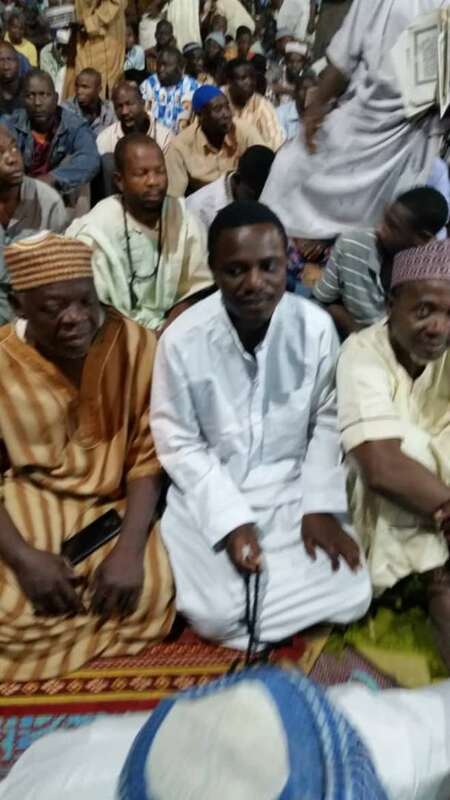 At the end of the event, the Quran was recited and completed 1741 times with Suratul Ikhlass recorded 6,911,785. 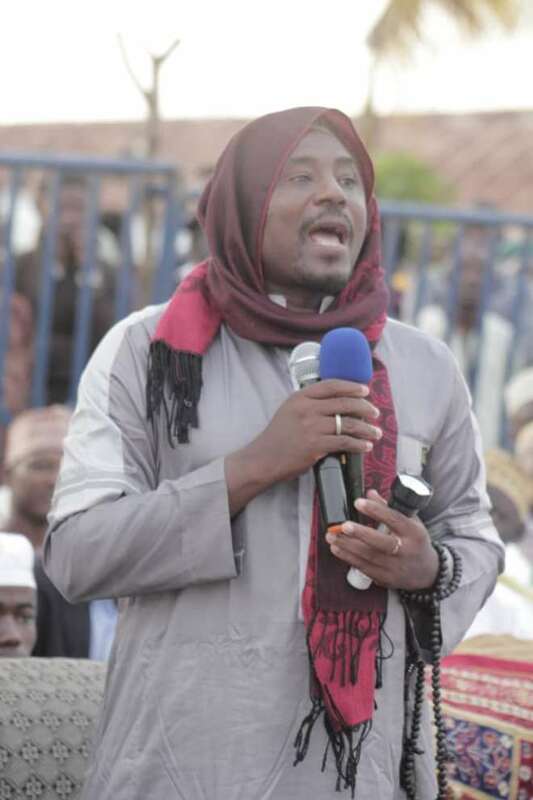 Sheikh Ibrahim Mei Haskey who spoke on behalf of the household of Sheikh Abdulai Maikano Jallo RTA commended the government for the exemplary work they have done so far for the people of Prang and the country at large. That it is through this government that Prang became a district capital and also pipe borne water project is ongoing to make sure the people enjoy portable water. He also acknowledged the contribution of the government in ensuring the completion of the grand mosque and Zawiya of Sheikh Maikano. 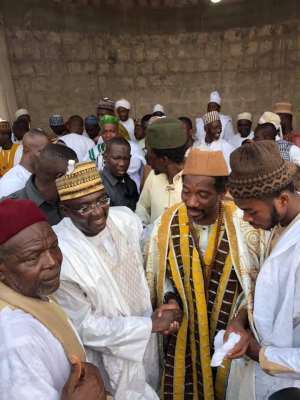 As Muslims and adherents of the Tijaniyya Sufi order, the mosque or zawiya is a key element that connects us and unifies our efforts in fulfilling both our spiritual and physical lives. 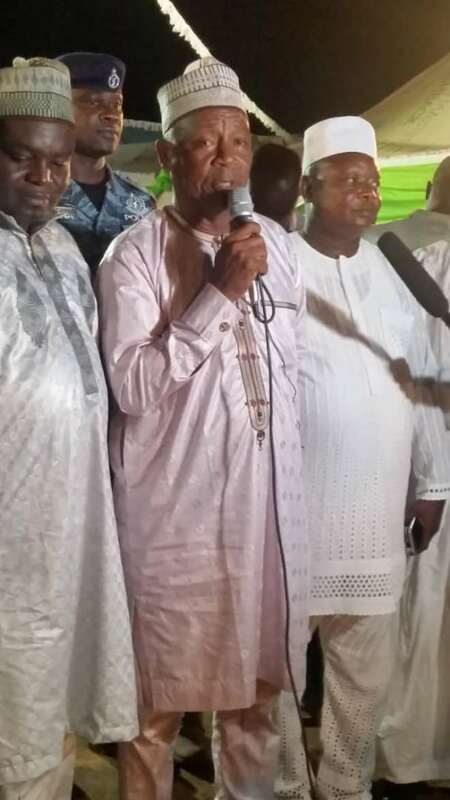 In addition, he also extended their gratitude to the President his Excellency Nana Addo and the chiefs for successfully bringing to an end the protracted chieftaincy dispute in Dagbon. 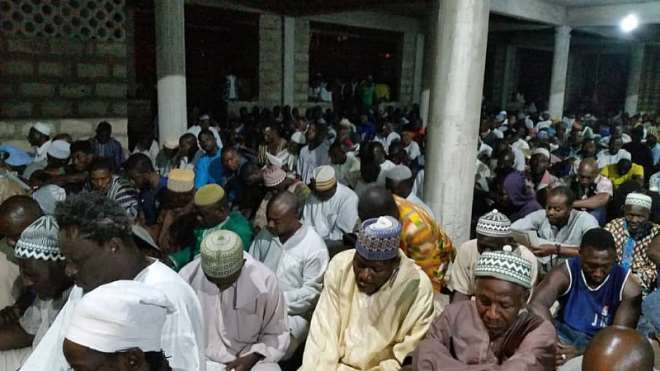 Dagbon holds a special place in their hearts and for years it has been their prayers to Allah for lasting peace and justice to be established in the land. The Prophet said, he who is ungrateful to people will not be grateful to Allah. It is on this basis that they feel obliged to show gratitude to all who exhibited exemplary valor and dedication in ensuring the impasse laid to rest. He also thanked the government for the support given towards this year's Quran recitation. He called on all political parties to eschew and disband political vigilante groups which to him do not serve the purpose for which they are created but rather used as tools to instigate and propagate violence. To them, those groups are nothing but hoodlums who pose a serious and precarious threat to the peace and serenity we are all benefiting from. The Quran in sura 8:25 states, And fear tumult or oppression, which affecteth not in particular (only) those of you who do wrong: and know that Allah is strict in punishment. Honorable Boniface spoke on behalf of the Vice President that all they need is prayers to ensure they deliver on their promises in uplifting the image of the country and bringing a lasting development to all and sundry. That the Vice President has taken it upon himself personally to fund the establishment of solar energy for the usage of the grand mosque in order to ease the burden of electricity tariff on the household. He also enumerated the many projects the government intends to embark on to ease the economic hardship Ghanaians are facing. 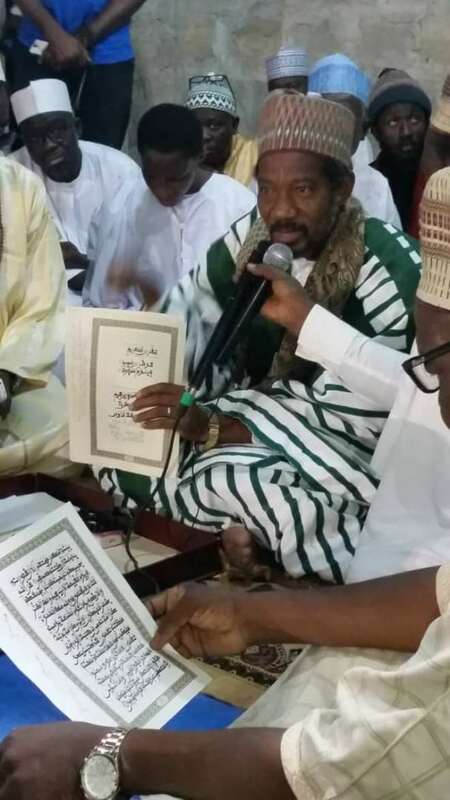 Sheikh Abdulai Maikano Jallo of blessed memory, the first Imam to the Ghana Armed Forces first established the recitation of the Quran in 1963 with three intentions, that is, lasting peace in Ghana, the pleasure of Allah and the sanctity of Islam in Ghana. The Quran as in Sura 17:82 states, We reveal the Quran which is a cure and mercy for the believers but does nothing for the unjust except to lead them to perdition. To the Muslim, there is no other work that draws one to the mercy of Allah than the Quran as such Sheikh Maikano Jallo took it upon himself to make it recitation obligatory on those who believe in him in Rajab the third month on the Islamic Calendar. After his demise in 2005, the recitation continued on abated after Khalifa Ahmad Abul Faidi succeeded him.